Fiskers scientists have reached an early breakthrough in solid-state technology. The wider team includes the co-founder of solid-state battery technology pioneer, Sakti3 – a first inventor of the seminal patents. Implications for Fiskers vehicles beyond 2023 – as well as the larger EV industry as a whole – are significant. The patent includes claims over novel materials and manufacturing processes that are critical in achieving the required energy density, power and cost targets that are paramount for the widespread use of electric vehicles. 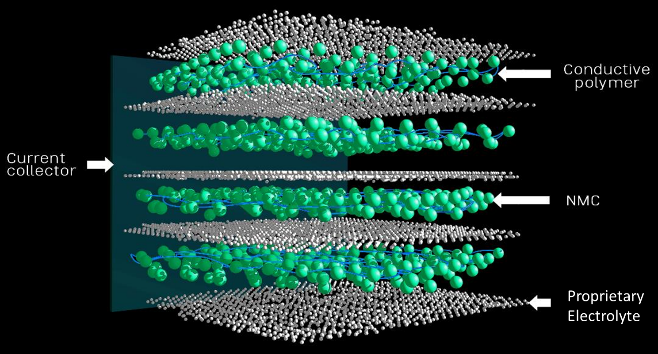 Fisker’s scientists, including the co-founder of global battery tech pioneer Sakti3, filed patents this week on flexible, superior energy density solid-state batteries. Automotive applications anticipated to be production grade ready from 2023 onwards. Current limitations in solid-state technology include low electrode current density, limited temperature ranges, limited materials availability, high costs and non-scalable manufacturing processes. Early results show that Fisker’s solid-state technology enables the construction of bulk three-dimensional solid-state electrodes with 25 times more surface area than flat thin-film solid-state electrodes and extremely high electronic and ionic conductivities – enabling fast charging and cold temperature operation. As a result, Fisker’s battery delivers 2.5 times the energy density of typical lithium-ion batteries – with the potential of costing one third of the 2020 projected price of those batteries due to advances in materials and manufacturing. Several failure modes affect solid-state batteries, including low power and low rate capability due to high contact resistance and low ionic mobility in the layered electrode structures. Delamination issues due to volume changes and residual stresses during charge/discharge processes; dendrite penetration and stability vs. metallic lithium electrodes; and low ionic diffusion, particularly in low temperature climate due to solid-state material limitations, are also roadblocks. With the newly announced technology, Fisker’s scientists are addressing these technical bottlenecks. Figure: Fisker solid-state technology is capable of constructing bulk three-dimensional solid-state electrodes with 25 times more surface area than flat thin-film solid state electrodes and extremely high electronic and ionic conductivities – enabling fast charging and cold temperature operation. Fisker anticipates the technology may be ready for automotive applications post 2023. Such long lead times are due to the lack of supply chains with particular raw materials and appropriate manufacturing tools, as well as established quality procedures for materials repeatability. Once the technology is fully validated, the battery will deliver a vehicle range of more than 500 miles on a single charge, and charging times as low as one minute – allowing technology to bypass the internal combustion engine and push the automobile into mass electrification. Fisker is in active discussions with various industrial groups around potential non-automotive partnerships – with the possibility of battery applications that may be commercialized much earlier than 2023. Fisker’s flexible solid-state electrode construction will enable batteries with versatile voltage and form factors. They may be wound in cylindrical cells with higher voltage output, allowing usage of current tooling and machinery for battery packs – in addition to lesser cell-to-cell connections, thermal management and safety requirements. This further reduces battery system costs. THE FISKER EMOTION LUXURY ELECTRIC FOUR-DOOR SEDAN: CES 2018 LAUNCH. The much-anticipated 2018 launch of the Fisker EMotion luxury electric vehicle at the Consumer Electronics Show will showcase a proprietary battery module with advanced thermal management using 21700 NCM cells from LG Chem. The company has been simultaneously working on proprietary technology that will enable charging for a 127-mile range in nine minutes. Fisker’s solid-state battery and extreme fast charging technologies will be on full display at the vehicle’s launch at CES. California-based Fisker Inc. is revolutionizing the automotive industry by developing the most emotionally stunning luxury electric vehicles complemented with the longest EV range on earth. The brainchild of EV pioneer and world-leading automotive designer, Henrik Fisker, Fisker Inc.’s mission is to set a new standard of excellence and performance in the electric vehicle industry – developing unique, high-performance electric vehicles with truly disruptive design and groundbreaking battery technology. To learn more, visit www.FiskerInc.com.